Straight from “Oh my GOD!” territory comes this story from Popular Science magazine, detailing nekomimi (lit. “cat ears”) that rise and flatten out on command from human brainwaves. A video is posted after the break. 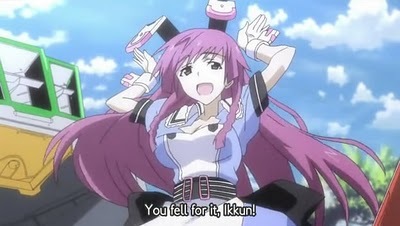 Tabane Shinonono, genius inventor and all-around flake of the series Infinite Stratos. They alter to reflect her mood. 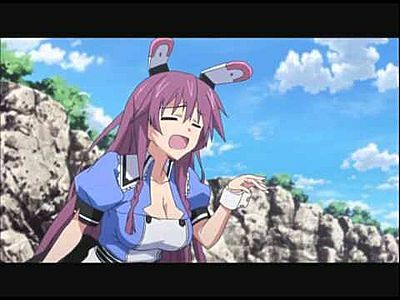 This entry was posted in Culture, Japan, Weird Stuff and tagged cat, crazy, ears, high tech, Infinite Stratos, Japan, nekomimi, sci fi, Tabane. Bookmark the permalink. I WANT THOSE!! Were can you buy them!?!?!?! I wonder how intensely you have to concentrate? Лучшие новинки всегда можно скачать у нас на портале. Можете воспользоваться – Собака Баскервилей, в разное время когда вам захочеться. Скачивайте новинки 2012 и наслаждайтесь на отдыхе.